Despite coming second, for Le Pen and her supporters, the score is a disappointment. For so long, she was touted for first place and predicted a score as high as 27%. Even on the eve of the vote, some pundits were predicting the possibility of a score of 30%. Her score is well behind the 28% the Front National scored in the regional elections in December 2015. Above all, it reflects Le Pen’s failure to make the key aspects of her programme count in the campaign. She was strangely muted in the TV debates and now it shows. Republican candidate François Fillon and far-left contender Jean-Luc Mélenchon followed close behind, with Socialist Benoît Hamon trailing badly. The disappointment was clear on Le Pen’s face when she made her first TV appearance at a little after nine on the night of the vote. At her campaign HQ, by 10 o’clock they’d turned off the TV screens and half her supporters had gone home while others were enjoying the disco. All the polls that have run a Le Pen/Macron scenario for the second round have suggested a 60/40 split in favour of Macron. Le Pen will hope for better, of course, but while she has to believe she can win on May 7, it’s a very long shot. 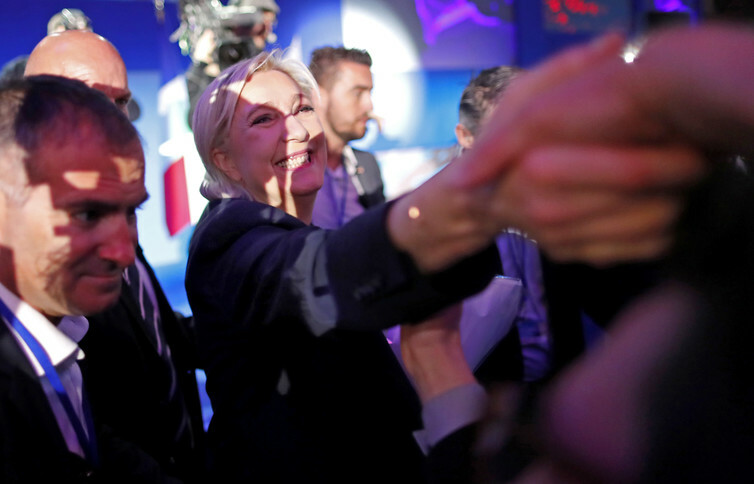 The final result will have an impact on Le Pen and the future direction of the Front National. She is not in danger of being replaced if she loses; there is no alternative leader for the time being. But the strategy and the programme, largely devised by her acolyte Florian Philippot, will be put under the spotlight. Her voters are loyal, and Le Pen will hope to secure a proportion of Fillon’s voters as well as those Mélenchon followers who cannot countenance supporting Macron. But with so many other candidates urging their followers to now back Macron, she has a lot of ground to cover in a very short space of time. Despite Mélenchon’s late rally, it seems that Fillon is the third man in this race. 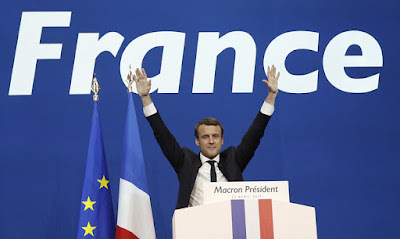 At 8.45pm, he appeared at his campaign headquarters to deliver a remarkably dignified speech in which he accepted his defeat and called, without hesitation, for his supporters to vote for Macron in the second round. Not all of them will. Le Pen will hope that the right wing Catholic vote will swing to her rather than Macron, for example. Nevertheless, with Fillon’s defeat, most of the Republican heavyweights came out in favour of Macron. It may even be that, in due course, once the allegations against him are out of the way and show him to be innocent, Fillon might even foresee a situation where he and other figures from the right might have a role to play between now and 2022. While Fillon demonstrated both restraint and dignity, throughout the evening Mélenchon and his camp showed the opposite. They refused to accept the projections based on exit polls, even as they appeared to confirm the gap between Macron and Le Pen, and again Fillon and Mélenchon. This is the downside of Mélenchonite. After the fever reaches its high point, it inevitably leads to disappointment, not to say depression. In 2012, having thought he might come third, Mélenchon slipped to fourth, and by a distance. In the last fortnight of this campaign, Mélenchon and his supporters convinced themselves that they would be in the second round. Fly high, fall far. But Mélenchon succeeded in one of his missions: to reduce Socialist candidate Benoît Hamon to fifth place and a crushing 6.5%. Hamon was out of the blocks first, by 8.15pm, to call for his supporters to vote Macron. By nine, his HQ was empty, with only a handful of journalists hanging around. 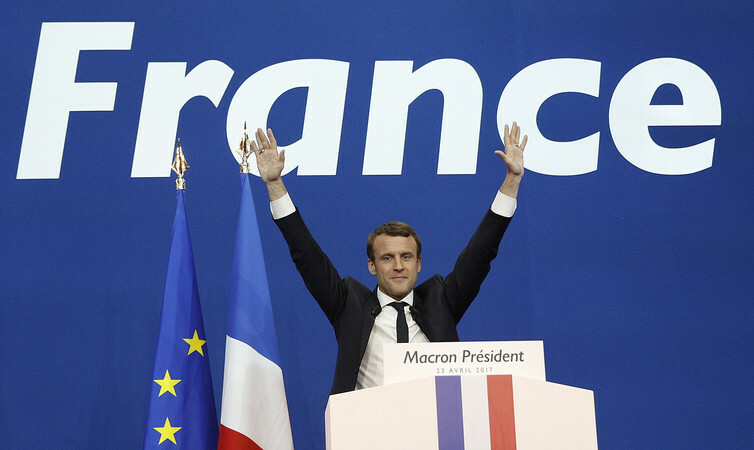 Now, with the second round approaching on May 7, Le Pen will be hoping that Macron blunders. But until this point, he has avoided the obstacles thrown across his path, while Le Pen has failed to make her key points count. Perhaps, just perhaps, now that Fillon and Mélenchon are out of the way, Le Pen will find a second wind, and more easily be able to define her programme. She may take back the initiative that has eluded her so far in this campaign. If she is going to win, she is going to have to do that in spades.